Our 15-day trips have been designed to maximize your experience. Instead of rushing around in a panic trying to visit as many places as possible, we’ve specially chosen only the our favorite spots in the region... spots we know you’ll fall in love with. How are we so sure? Well, we’ve spent years in this country tirelessly testing out beaches, bars, and bungalows just to make sure we can bring you the cream of the crop. It's time to say goodbye-for-now to the 12-day travelers before we jet off on a 1-hour flight to one of the 7 wonders of the world - the famous temples of Angkor! 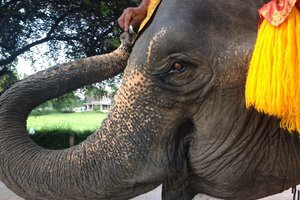 We'll touch down in the Cambodian city of Siem Reap, home to the spectacular ancient temple complex and a unique city full of new sights and smells. We'll spend our time here with a local guide who will join us in exploring the beautiful lost city of Angkor. It's an awe-inspiring experience sure to make everyone at home jealous. 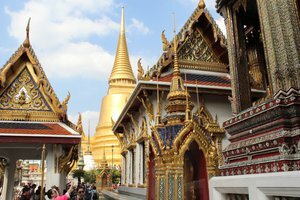 Don’t worry about getting chilly, Thailand and Cambodia are tropical countries and the areas that we travel in are warm day and night. High temperatures of 35C/97F, and lows of 23C/77F can be expected through most of the year. Even if it rains it’s usually in the afternoon, and these unlikely showers are a refreshing cool-down and make a great excuse to try out your favorite rain dance. Our advice is simple. Pack your bag, then take half of those things out and leave them back home. It’s common to hear people wishing they’d packed less stuff, but we’ve never heard anyone complain that they didn’t bring enough. Thailand is a very inexpensive country, meaning even if you realize you forget to pack some crucial item you can just pick it up on the trip for half of what it would have cost back home. We'll include some trip-specific packing advice based on expected weather as part of our update email to you, sent 60 days prior to your trip. 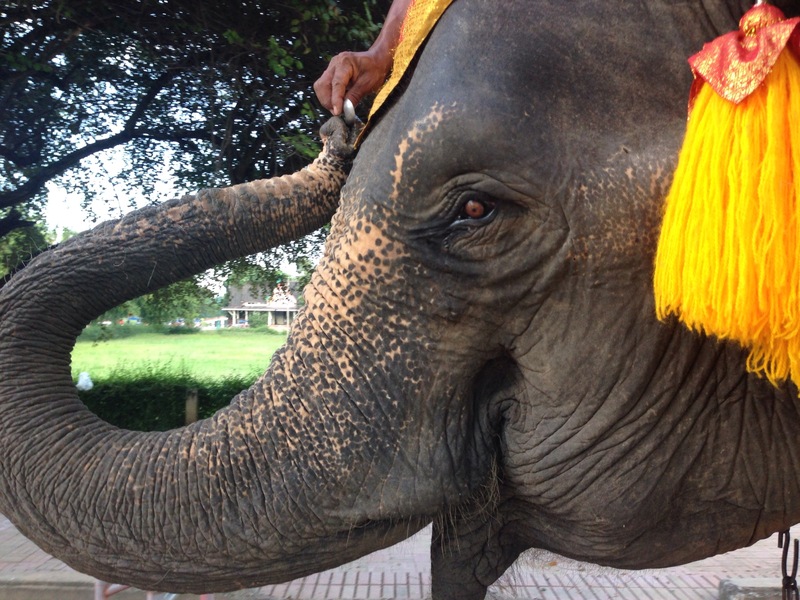 Tipping isn’t a native Thai custom, however, it’s become a part of what is expected from travelers. We suggest tipping for services in a similar way as you would in North America; that is, if your dinner bill is 200 baht then we encourage you toss 40 baht in on top of that. That extra bit is extremely appreciated by the local service staff. We have pretty high standards when it comes to choosing our accommodations, and trust us, we’ve done plenty of room-sniffing, pillow-patting, and bathroom inspections to make sure we stay at quality spots. To be approved as a Detours accommodations provider, a guesthouse must: be locally owned (to support the local community), be in an amazing location (close to the beach and other hot spots), have air conditioning (you can thank us later), AND be gay-owned or gay-friendly. We won't be staying in 5-star Ritz-Carltons but we also won't subject you to anything we wouldn't want to stay in ourselves. Clean, comfortable, well-located spots that'll put a smile on your face, you can count on that! No problem! Don’t worry, our trip will provide plenty of chances to meet great people both inside and outside of our group, including other solos. As far as your accommodations go, you’ve got two choices. 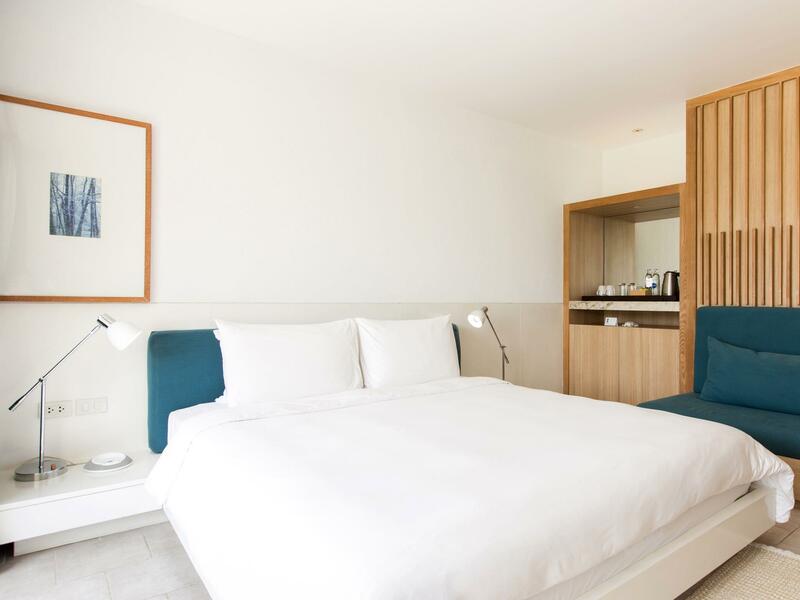 We can either pair you up with another group solo member in a two-bed room, or you can have your own room for a reasonable surcharge. Thailand & Cambodia use a "type A" and "type B" plug, the same as North America and several other places in the world. The voltage is 220V with 50 Hz frequency. These days, the majority of items that are plugged into an outlet are built to handle varying voltage and frequency levels, but just to be sure, we suggest checking your item for its acceptable range. Additional spending budget? Your big-ticket items are included through the trip, but you'll want to budget for additional spending such as additional meals, drinks, shopping, activities, etc. These costs can vary dramatically with differing personal habits but we suggest expecting to spend an additional $700 USD at the lower end for the more budget-conscious and $1200 USD at the higher end for the splurgers. 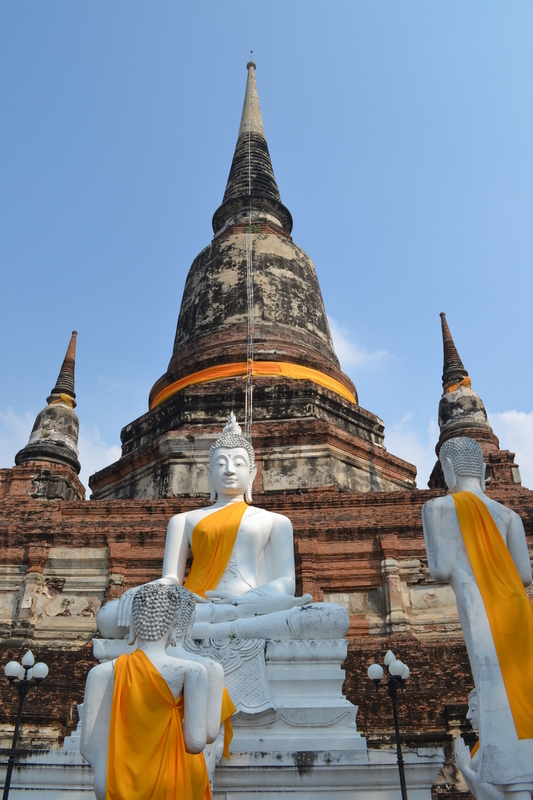 We suggest arriving to Thailand with approximately 10,000 local Thai Baht, and $100 US Dollars (for Cambodia). Solo traveler? We'll pair you up with another solo traveler at no cost, or pay just $840 USD for a private room. the contrasts and diversity of this stunning country offers something for everyone. This trip gave a sense of discovery to not only a new country, but to one's self. Learning one's own limits, and then pushing them was possible here with no judgement. The people are so helpful and polite in every situation. They have an eagerness to please in any capacity. Each hotel selected by Detours was first rate! 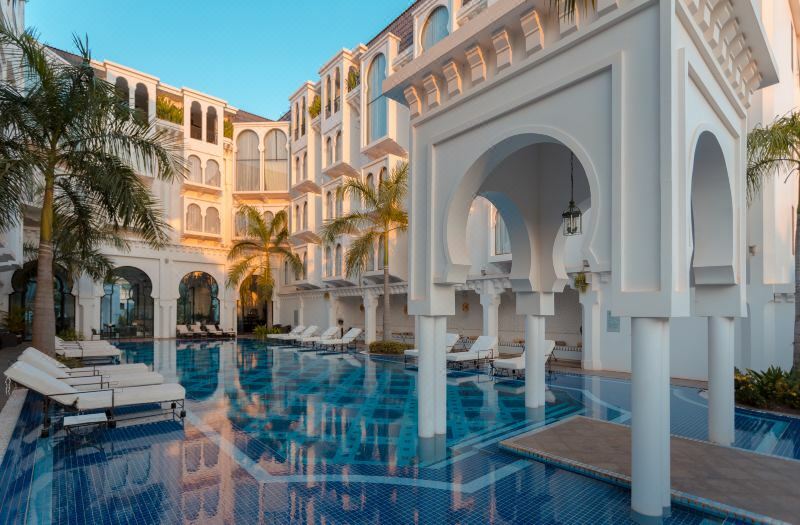 Luxurious pools and spas, exquisite restaurants and night life were always just a few steps away. 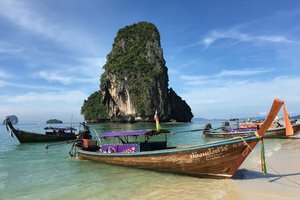 The beaches of Railay and Phuket are in a league unto themselves. All the impossible stories of this country are true, and then some. My travel companions were as diverse as this trip. Close and lasting friendships were forged with ease. That, I have found, is a pleasant byproduct of the Detours experience. Our trip Leader Shane has a wealth of knowledge of this country that he eagerly shared. His guidance and openness to try new activities made for a very enjoyable time together. If you haven't experienced Detours yet, just do it. Do it now! 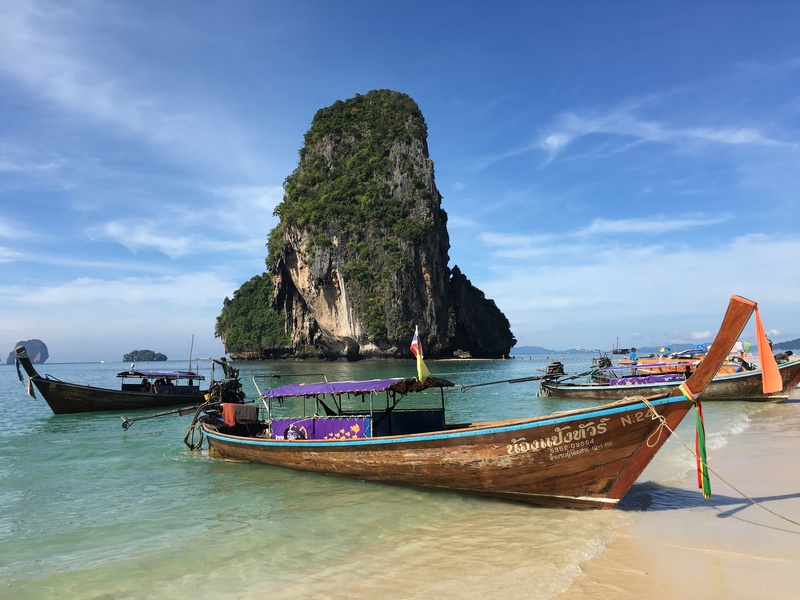 When I signed up with Detours, I knew that I would have quite the experience in Thailand: hotels, transportation, and a knowledgeable guide to ensure that I got a "taste" of Thailand. 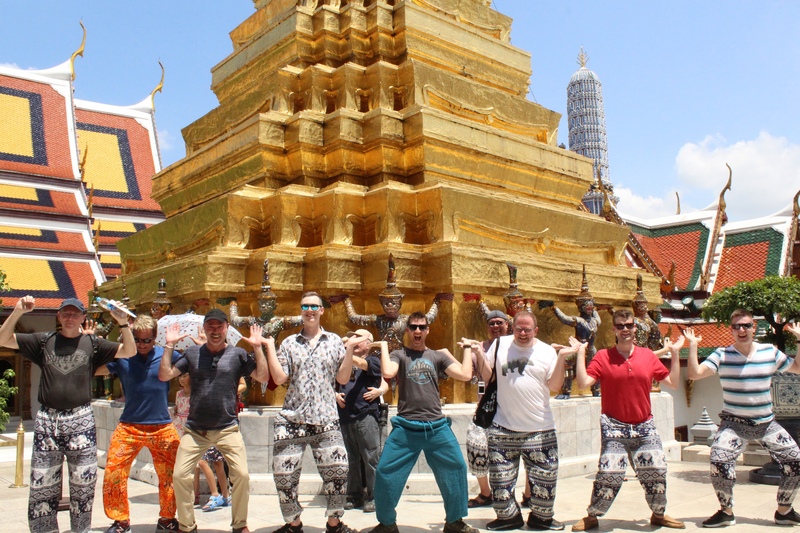 I had no idea that I would also meet an incredible group of 15 other male travelers! Together we laughed, toured, experienced, discussed, and drank our way through temples, beaches, boats, and cities. 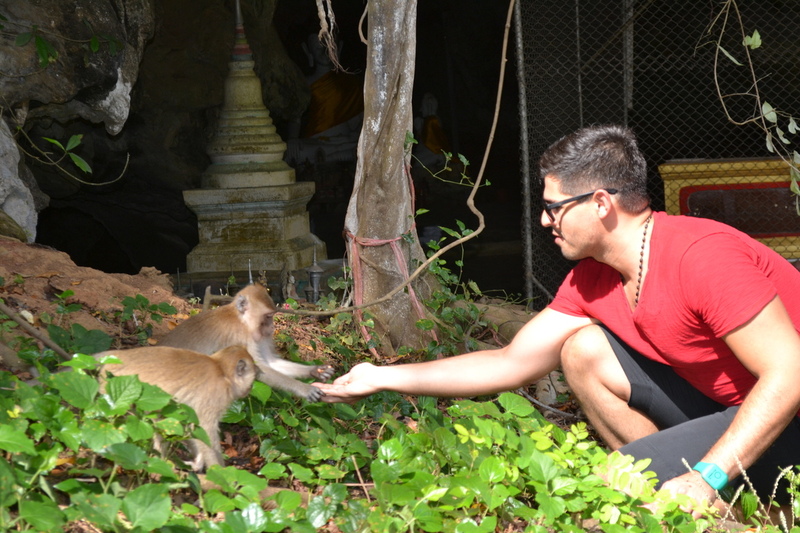 Our trip leader could not have cared more for each one of us, as individuals. Shane, you truly brought the heart to this adventure. Thanks, Detours! 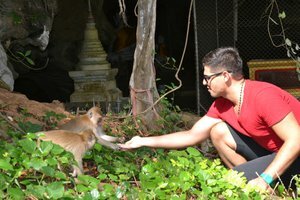 I had a great time traveling to Thailand with Detours. I went to places and did things that definitely were not on my radar but that I absolutely loved. Shane, our group leader, was a joy. He really made the trip very special thanks to both his expertise in the country and his positive attitude! 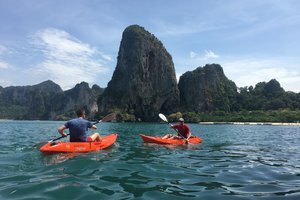 Just wrapped up my 3rd trip with Detours - Thailand January 2018 - and I'm ready to sign up for my 4th trip later this year. 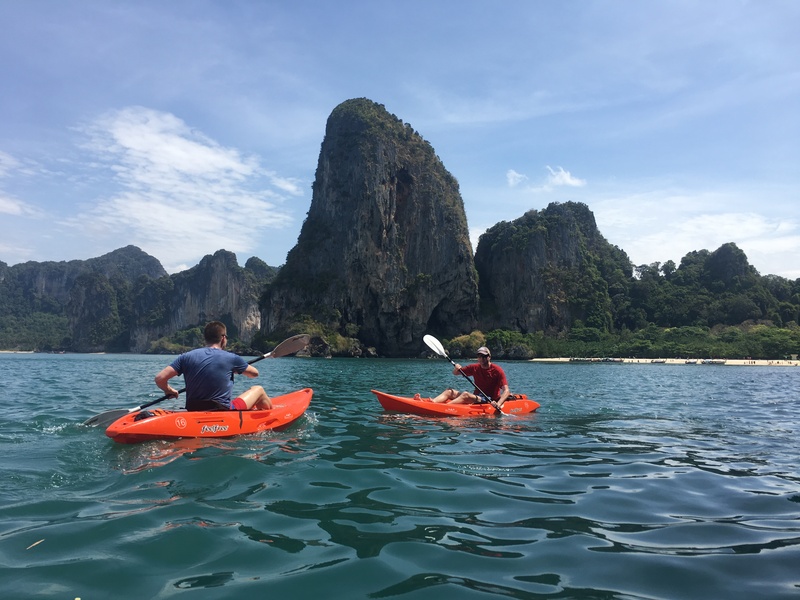 The trips continue to surprise me because of the life experiences as well as some of the lifelong bonds you create with some of your fellow travelers. I'm a true believer that no one would regret booking a trip with Detours. 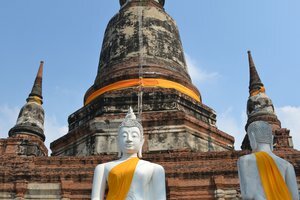 My husband and I were on the November 2017 Thailand 15-day trip. This was our first trip with Detours, and it exceeded our expectations in every way. We really enjoyed sharing the experience with the other guys—everyone got along very well, and we always looked forward to sharing the day’s experiences with the group over dinner. The accommodations were first-rate, including staying in a luxury treehouse. The activities were interesting and varied, and you always had the option of doing something else if you didn’t like a particular activity. The trip leaders, Shane and Miles, were very sensitive to each person’s interests and needs, and the trip was very well organized. It was comforting to turn over the logistical details to them. We had such a great time, that we have already booked the Detours trip to South Africa in January. We would most highly recommend Detours to anyone who wants a first-class experience at a very reasonable price. Thanks Shane and Miles!